Someone smashed a grocery cart in to the back of Maxwell today at Publix and I pulled my lower back getting the groceries out later. 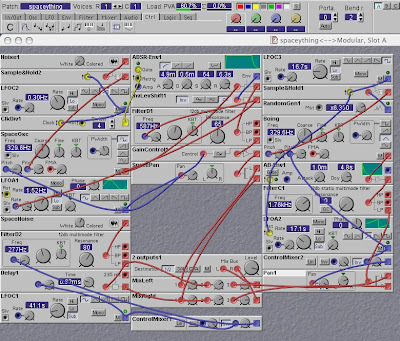 I want a do-over. Yeah... that's a Comcast truck. They guy was there for hours. I went out and took pictures of the tag just in case this became another nightmare. I think they were hooking some new neighbors up. 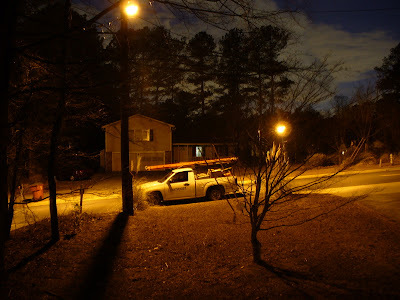 Comcast seems to do anything to get you connected... until you actually become a customer. Then you're on your own. I wasn't around at the time to try FIZZIES... but I would have if I could have. Evidently they're out again now with a new formula but I haven't seen them anywhere. I'll keep an eye out. If you see them somewhere in the Atlanta area let me know. 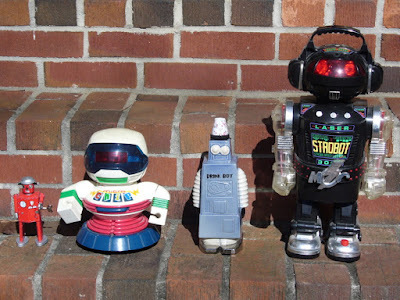 I came home today after doing some shopping and found robots on the front steps blocking the entry of my home. 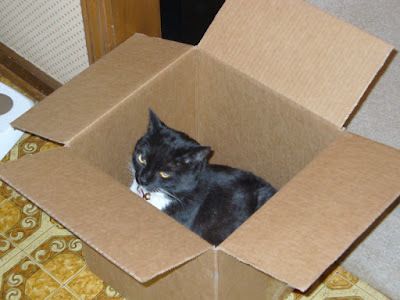 Well.... really it was a box containing The Drink Bot. 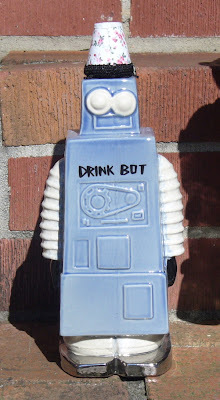 The Drink Bot decanter was made by Tiki Farm for Tiki Bar TV. 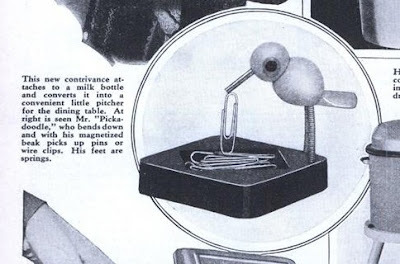 Drink Bot is perfect for storing Love In The South Pacific or whatever else you'd like to put in there. Remove the lampshade first though. She's happy because I threw her Splenda box away this week and she wanted a new one. 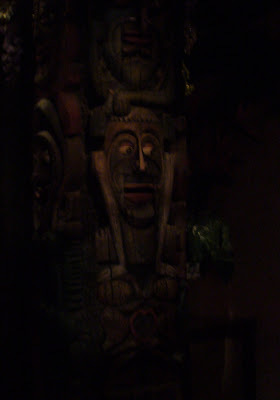 I've been a bit slack keeping up with the tikis lately. It's nice outside today so I figured I'd start catching up a bit. These were two of my Christmas presents. 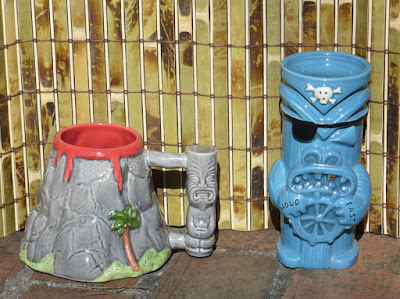 You'll find the awesomely hot glaze of the Hot Lava Java Coffee Mug on the left and Captain Hold Fast at the helm on the right (note his genuine gold tooth.) 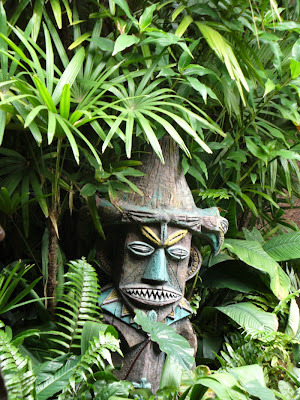 The Captain was designed by Atomic Tony Tiki. 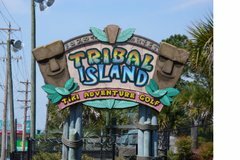 Both can be found at Tiki Farm. 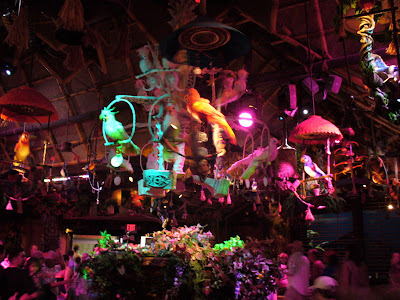 Back in December I made a pilgrimage of sorts... back to the Enchanted Tiki Room at Walt Disney World. 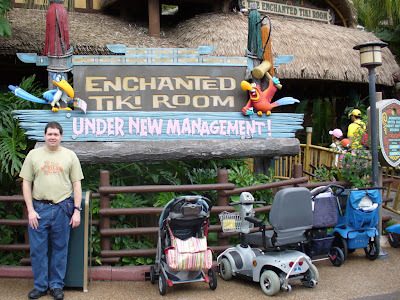 They've redone the show and updated it with some more modern-era birds from more recent Disney flicks but it was still well done. Lots of fun for all! No that's not my scooter... man were those things annoying though. I may get one next time I go back. The height of animatronic insanity. Unfortunately a lot of the show is in the dark so it's hard to take it all in... let alone take photos. 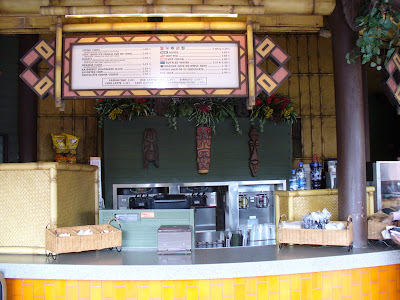 And what better way to energize after the show with some iced coffee from the local tiki hut concession stand.